Bus tickets from Vallenar to La Serena are being sold from Los Corsarios, Pullman Bus, Cikbus Elité, Buses Paravias, Covalle Bus, Fichtur VIP, Atacama VIP, Ciktur. The bus travel from Vallenar and La Serena takes approximately about 3 hours. The distance between Vallenar to La Serena is (N/A) and you can choose between the services Semi Cama, Salón Cama; dependent on the bus company you travel with (Los Corsarios, Pullman Bus, Cikbus Elité, Buses Paravias, Covalle Bus, Fichtur VIP, Atacama VIP, Ciktur). Vallenar is a city and commune in Atacama Region, Chile. 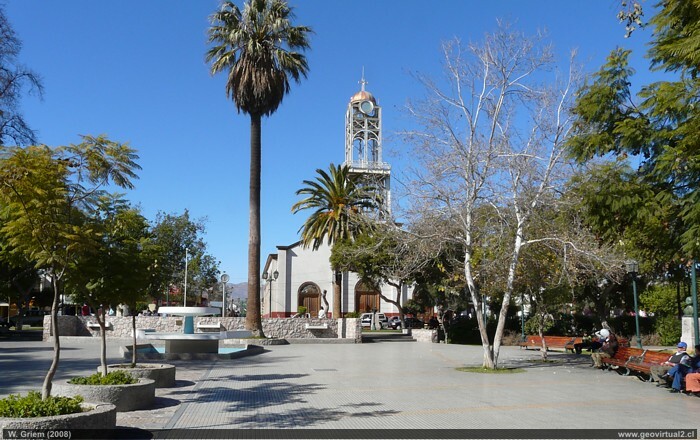 Vallenar is the capital of the Huasco Province and is located in the valley of the Huasco River. Vallenar has 52,000 inhabitants. Its main activities are farming and mining. Vallenar was founded as San Ambrosio de Ballenary by Ambrose O'Higgins in 1789, after his birthplace in Ballynary in County Sligo, Ireland. Llanos de Challe National Park is located 60 km (37 mi) northwest of the city of Vallenar.